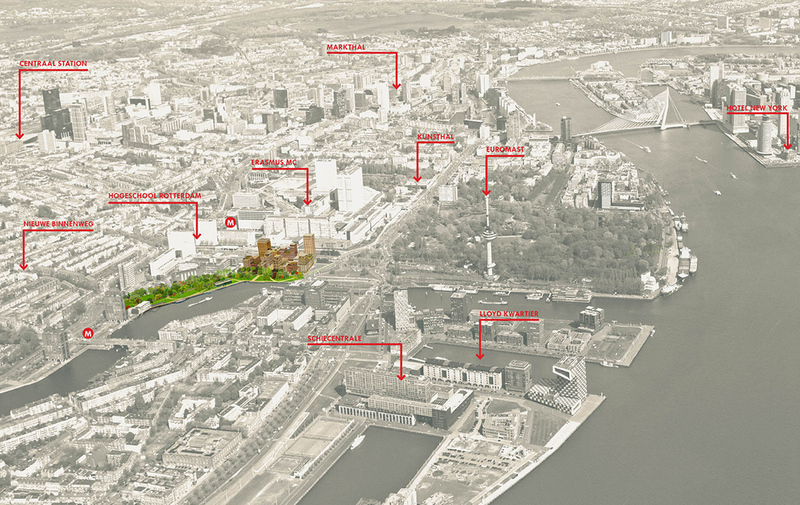 The Coolhaven waterfront area is a potential urban stepping stone in the city of Rotterdam. 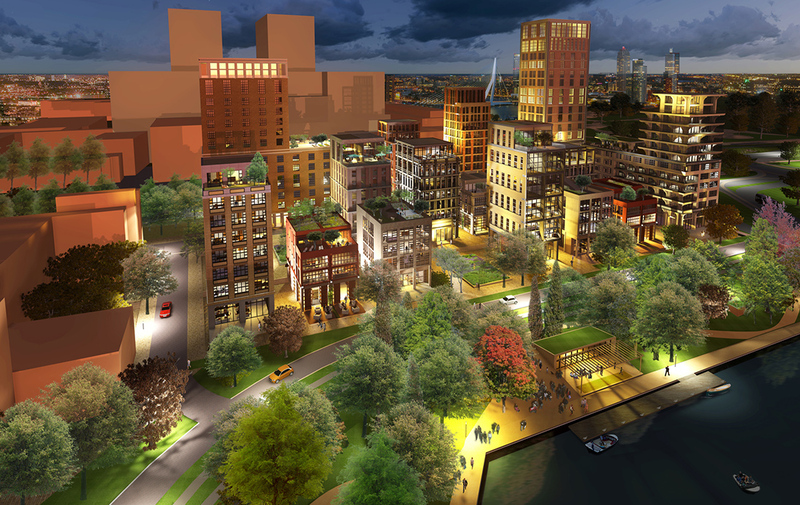 A programmatic mix of housing, office, commercial and medical commercial spaces is planned to take place on this rare open space in the center area of Rotterdam. 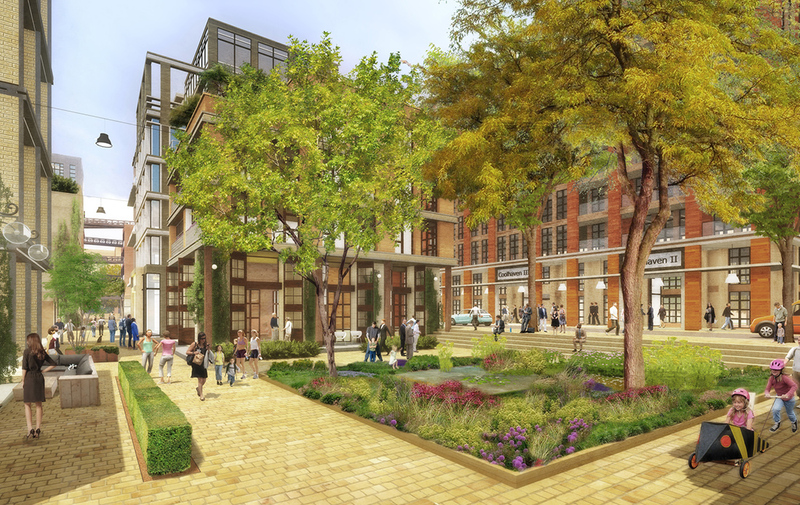 The proposed development of the urban campus is based on the systematic development of a fine grain of buildings with a small scale that relates logically to the human scale. To embed the site into the city existing pedestrian and cycling routes are incorporated, alignments of adjacent streets are respected. The programmatic and public space connections with the surrounding urban quarters will be optimized. 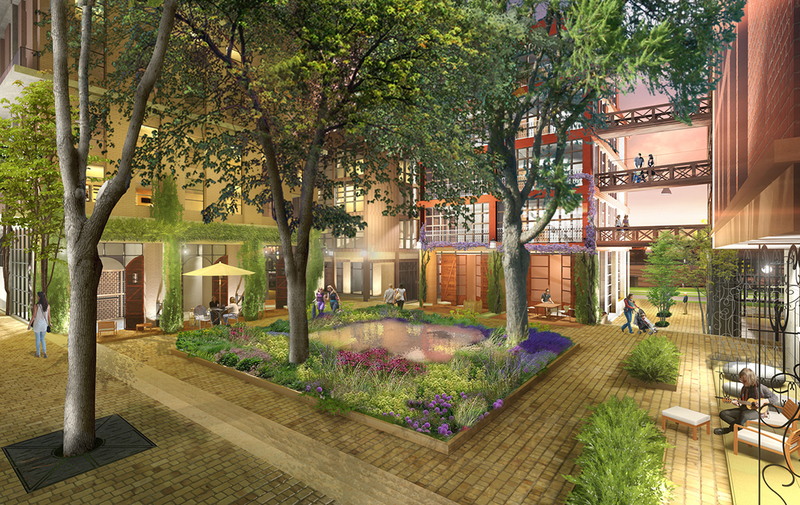 The interface between public and private space will be made soft and gradual by way of porches, balconies and relief in architecture. 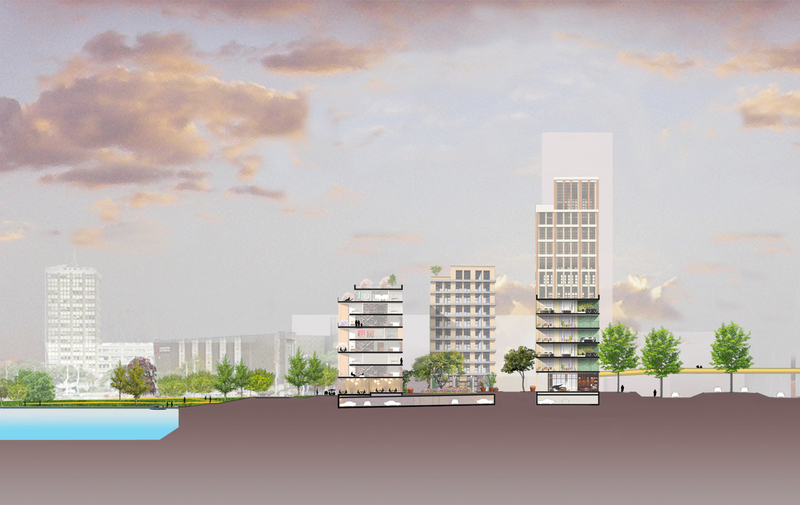 Cozy and small scale development with permeability of urban blocks. Attractive mix of family housing with education and medical programs. New public waterfront. Renewed connections to the surrounding urban areas. Matching the diverse wishes of many different stakeholders on a small site. 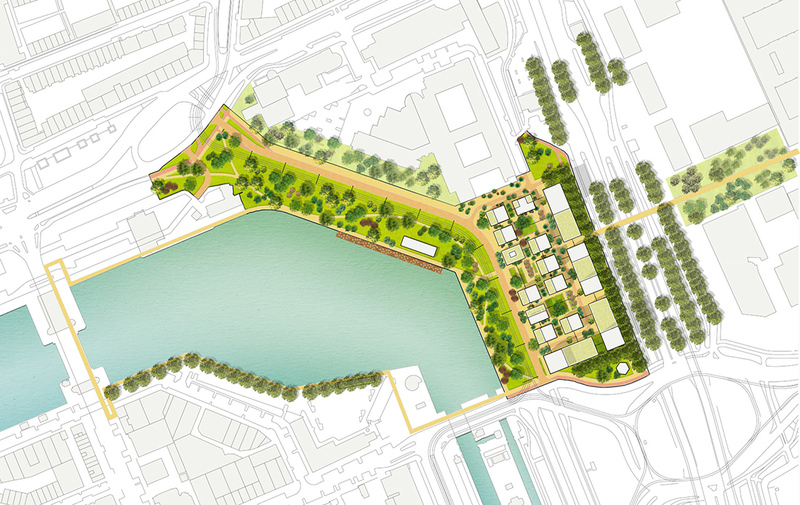 Program: 10 ha (100.000 m²), 80.000 m2 gfa, 800 m of waterfront.